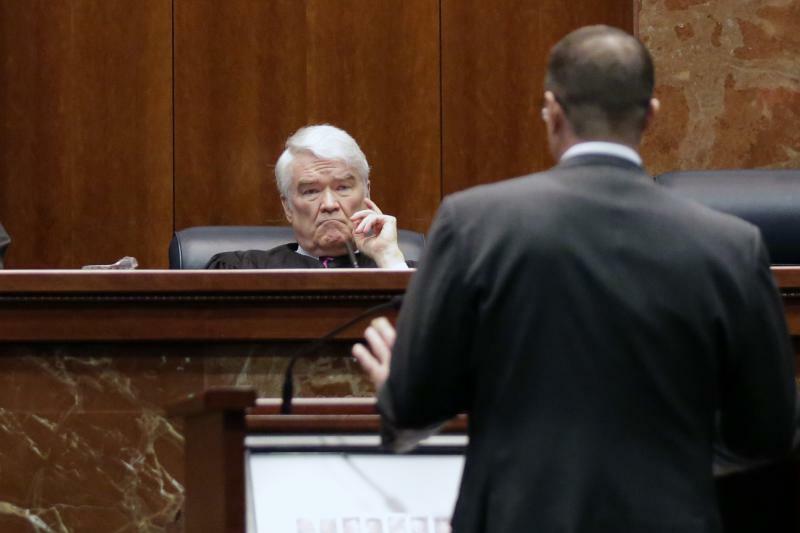 Texas Supreme Court Justice Nathan Hecht hears a case on Nov. 2, 2015, in Austin, Texas. The top judge on the Texas Supreme Court gave lawmakers a big wish list during his State of the Judiciary speech in Austin Wednesday. Chief Justice Nathan Hecht’s list includes some new spending, some savings and fundamentally rethinking business-as-usual in Texas courts. In his first address to the legislature since Hurricane Harvey hit Texas, Hecht began by praising court officers and the wider Texas legal community for rallying to help meet the needs of struggling Texans and preserve court records during the storm and the long recovery. Saying the Texas legal system took a staggering blow but remained resilient, the judge called on lawmakers to give more authority to modify or suspend court procedures during a disaster, and more funding to weather future catastrophes. TX Supreme Court Chief Justice Nathan Hecht is now giving his state of the judiciary in the #txlege house. He begins by talking about Harvey's effect on the courts. Hecht also added a big technology upgrade to his wishlist. Texas has some of the busiest courts in the country, he said; courts whose most dire need is new technology to keep up with caseloads 23 times higher than all the federal courts in the country. Also on his wishlist: A 15 percent raise for those busy judges. Texas judges, he says, have seen just two pay raises in the last 18 years, and their pay scale is well below that of other big states. It wasn’t all about spending, though. The judge voiced support for changes that would save taxpayers money. One change, Hecht suggests, is to stop arresting and jailing people for failing to pay fines that they couldn’t afford to pay in the first place. The state saved about $2.4 million last year partly thanks to 2017 legislative changes giving judges more leeway to waive fines and fees for low-income defendants or offer a cost-free alternative like community service. Hecht thinks there’s more to be done to stop imposing unpayable costs on poor people. Here’s another cost-savings option Hecht supports: overhauling the bail system. Texans spend about $1 billion a year locking people up before they’ve been convicted of a crime. The way pretrial detention decisions are made in most counties are based on a set schedule of bail amounts based on criminal charges. Hecth says that means poor people who aren’t a threat to public safety often get stuck in jail for lack of cash to get out, while potentially dangerous people with big enough bank accounts are released, like the man who shot and killed Texas state trooper Damon Allen in 2017 after paying a bail bondsman $1,550 to get him released from jail. 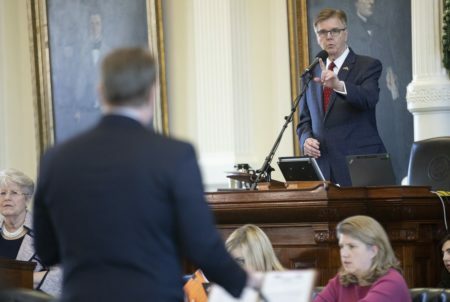 Allen’s story was the impetus for the governor to call for changes to the way bail works in Texas, and Sen. John Whitmire, D-Houston, and Rep. Andy Murr, R-Kerrville, named their bail-reform bill the Damon Allen Act of 2019. Hecht supports the move to to keep higher-risk people in jail before trial and make sure people aren’t in jail solely because they can’t afford to get out. 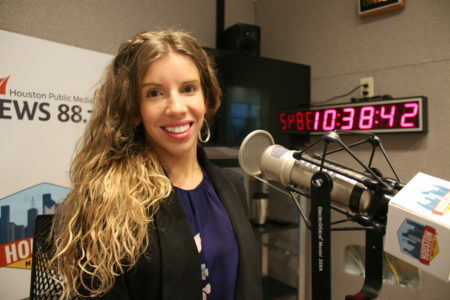 “Let me be very clear: money bail has its place, but blindly following a one-size-fits-all schedule of offenses and amounts is not informed decision-making,” Hecht said. 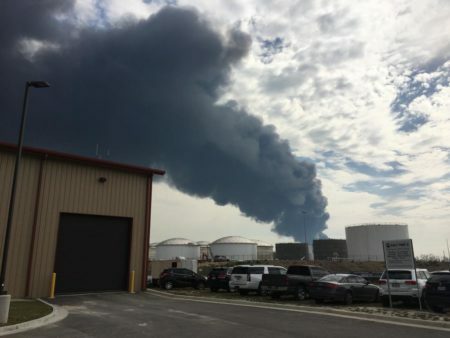 “Every day that this continues, public safety is compromised unnecessarily,” Hecht said. In the last legislative session, Hecht pushed for similar changes. The House passed the changes, but the bill failed in the Senate. Since then, separate lawsuits have been filed in Dallas, Harris and Galveston Counties charging that using a set schedule to determine bail unconstitutionally kept people locked up. 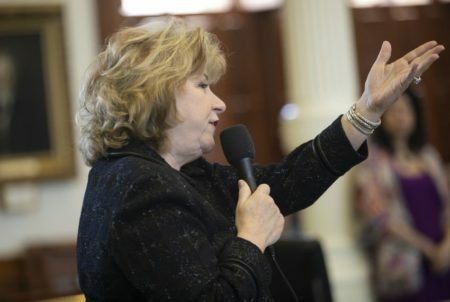 Another major change Hecht favors: Changing the way that Texans pick their judges. After the last election saw huge swaths of trial and appellate courts flip from Republican to Democratic control, Hecht says it’s time to think about picking judges in a non-partisan way. He’s a Republican, and says he’s never been a fan of partisan judicial elections. “When partisan politics is the driving force, and the political climate is as harsh as ours has become, judicial elections make judges more political, and judicial independence is the casualty,” he said. The last things on his list were all about making a justice system that better protects the interests of the vulnerable – children and the elderly, people with mental illness and intellectual disabilities. The courts, he said, are committed to trying to get every case right.